A low credit score can lead to several problems. Most lenders will be hesitant to lend money to those who have a poor credit rating. Those who will lend will usually only do so at a very high rate. This makes the cost of borrowing money much higher for those who need lower interest rates the most. What can be done for those who have credit issues to save money? Here are a few tips. One way to start to build up a credit history from scratch or from previous damage is through the use of a secured line. A secured credit card works largely like a savings or checking account. A cardholder can only make a purchase when there is money in the account. Paying off the card every month only means that the money is going back to the cardholder, yet this method can be used to build credit and save money on interest costs. 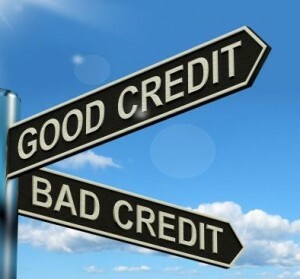 Bad credit does not alleviate the need for a car. Those in need of a car will frequently be drawn to a new model. Those with credit issues should attempt to buy a cheaper car because their interest rate will be higher. The lower the price of a car, the lower a payment a borrower can expect. Having the positive payment history will then improve a bad credit score. Getting debt under control requires getting income and expenses in line. Knowing how much is coming in and how much is going out each month is imperative for those who need to improve their credit scores. Consistently spending more than one has available is a surefire way to continue to have debt and credit problems. Some level of savings, even if it is $25 per month, should be a part of any budget. Most people who want to improve a credit score and pay off debt look only at the expense side of the ledger. Getting additional income can be a great way to ensure that debt is paid off more quickly and that there are fewer problems going into the future. After debt is paid off, the money that went to debt payments can go toward building an emergency fund. Debt counselors specialize in helping those who have problem with their credit. Professionals, like Keith G Collins Ltd, give advice for those who might think they have nowhere to turn. This advice might include working for a lower rate from creditors. It could also include bankruptcy. Regardless, a solid credit score can return over time and cut interest payments, and a debt counselor can help people get back on track. No one really likes debt, but many people find themselves in it. These tips can be great ways to cut debt and improve credit scores. This process takes time, and the best time to start is today.